Gov. 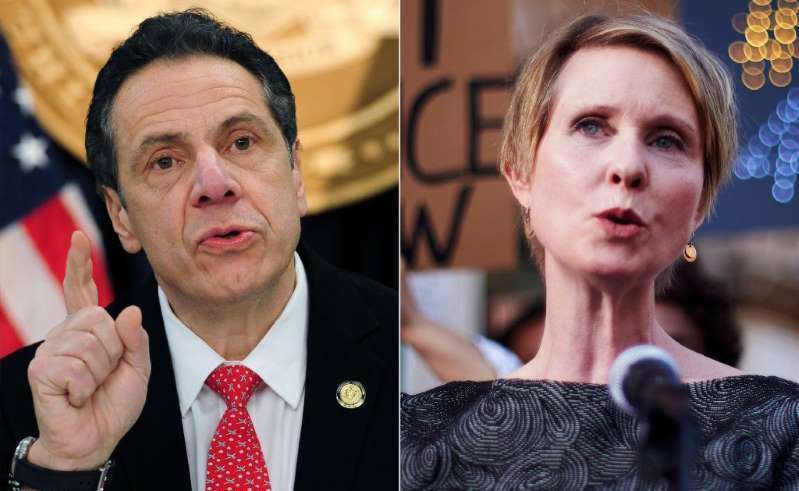 Cuomo has agreed to a single gubernatorial primary debate, the chair of the State Democratic Party announced Monday — and his opponent Cynthia Nixon says she wasn’t included in the negotiations for the face-off. Cuomo has accepted an invitation to debate on Aug. 29 on CBS, party chair and Buffalo Mayor Byron Brown said in a statement. A source familiar with the negotiations said the CBS debate would be an hour long and held at Hofstra University on Long Island before an audience of about 150. It would be moderated by Maurice DuBois and Marcia Kramer, the source said. Nixon had previously and publicly accepted a debate invitation from rival networks NY1 and WABC — but her campaign said Monday that instead, Cuomo had agreed to a CBS debate “with the format and all of the details negotiated in advance, then presented to our campaign on a take-it-or-leave-it basis. [post_ads]“The result: a debate at Andrew Cuomo’s chosen location and TV station, in his preferred format, with a favorable audience, and on a date in the last week of August when a minimum of New Yorkers will be watching,” spokeswoman Rebecca Katz said. She said CBS had been open with the Nixon campaign about catering to the governor. “CBS management has acknowledged that the only way to get Governor Cuomo to show up is by giving him everything he wants. We weren’t even given a seat at the table,” Katz continued. But the candidate remains set on debating Cuomo, Katz said. The move comes as Cuomo and his Lt. Gov. Kathy Hochul have both sought to use debates as leverage to get their primary opponents — Nixon and Councilman Jumaane Williams, respectively — to release at least five years of tax returns. Nixon has released one year; Williams has yet to release any. Hochul, meanwhile, has agreed to debate Williams on the same Aug. 29 date, to be moderated by Gotham Gazette’s Ben Max. Reporters will be able to watch the debate live, but it won’t air until Sept. 2 on both Youtube and a Manhattan-only television channel, Max said on Twitter.